Today, Opera announced that “the wait is (almost) over” and that the first public beta of its new mobile browser will be released July 15th. Opera Mobile 9.5 is based on the same Presto rendering engine used in the desktop variant and is an excellent browser, as we’ve seen in both the HTC Touch Diamond and the Advantage X7510, which ship with a personalized variant. The new version is optimized not for a specific device, but for any Windows Mobile Professional or Symbian UIQ phone and will have “a few differences”. 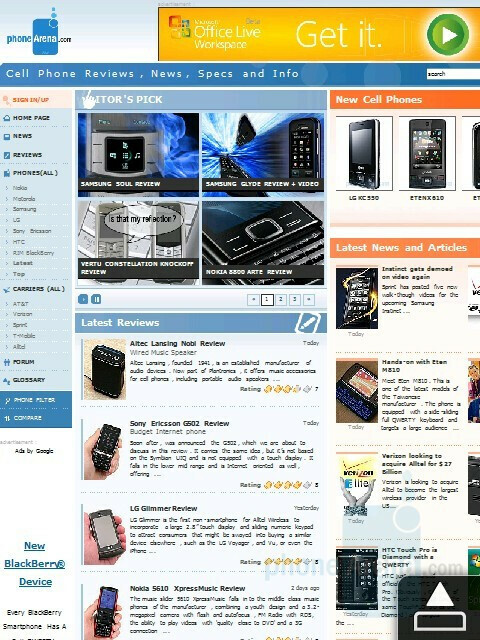 Probably it will have new interface but we expect it will offer similar user experience – Excellent. I was trying to download opera mini for my XV6900 for VZW also known as the Touch. What is the deal with not being able to download it. I don't understand anyone have any ideas? You can thank VZW for that one....why do you think everyone always says their phones are "locked down"? If they don't make money on it you can't have it. Any of the other carriers phones can just download it from the default browser. Non-smartphone users can download Opera Mini. 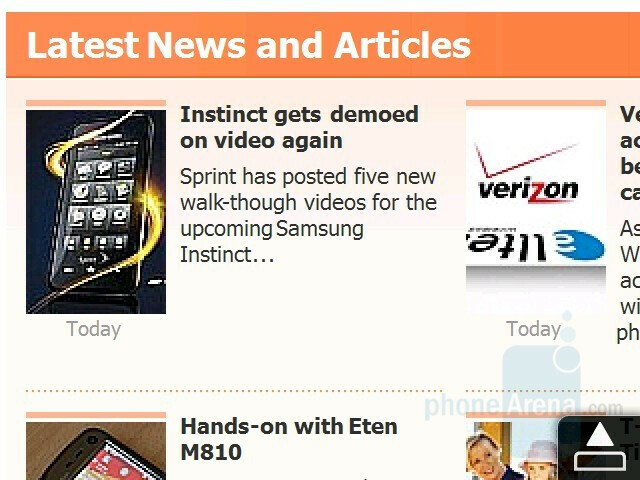 Actaully - it is not a VZW issue. You have to buy the Opera browser for any Windows Mobike device. IT isn't a free download. I ahd a trial version of the Opera broweser on my tReo 700w but I liked the IE browser better. Actually it is a Verizon issue. Ihave it running on my Tilt and I downloaded it directly from my phone using the IE browser. If you really want it bad enough and Verizon blocks it, just download it to your PC and install it on your phone using the ActiveSync software that came with your Touch. No, it's not a VZW issue. I downloaded it just fine on my XV6800. The "locked down" phones are their Brew-based phones and their GPS on Blackberries. Nice try though..
That's because you are trying to download Opera Mini. Mini is Java-based. You want Opera Mobile. I downloaded it just fine on my HTC Touch with Verizon too. Opera "Mini" is a java app for most regular cell phones. You can use this on a Windows Mobile Smartphone if you install a Java Virtual Machine, but it is still not as good as Opera Mobile. 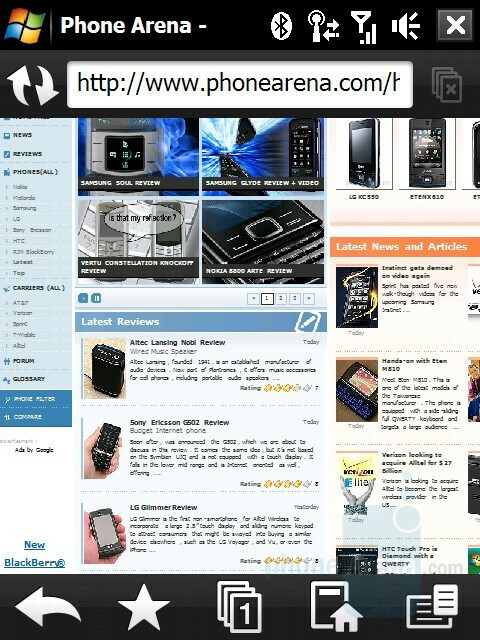 Opera "Mobile" is a web browser made for the Windows Mobile and Symbian OS's. It isn't free, but it is really good. Better than Pocket IE in my opinion. So i can pay for Opera "Mobile" and have it on my VZW XV6900 is that correct? The problem has nothing to do with verizon. I just got Opera Mini woking fine on my Moto Q which is obviously a smartphone. The issue is that it's Java-Based and most verizon smartphones are not equipped with a Java VM. Install Esmertec's JBed (Java Emulator), and then under this emulator, install the .jar file for opera mini. Works like a charm -- looks a thousand times better than both PIE and Opera Mobile 8.65, and is faster too. I'm absolutely loving it! which one will work on the sprint centro? Will it work on the Verizon Treo 755p?